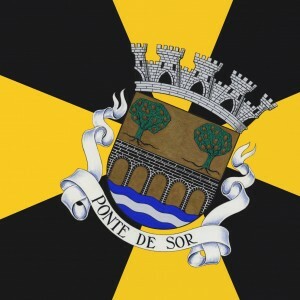 Ponte de Sor has a population of 16,722 inhabitants, more than a quarter of which is aged 65 and above. Noticing the rapid population ageing of its population, Ponte de Sor developed a set of municipal social policies that aims at promoting active ageing, inclusion and participation of seniors in the community as well as intergenerational sharing. All these measures will facilitate the maintenance of elders in their family environment, support their daily lives, diminish isolation and solitude, and enjoy leisure and entertainment venues. Therefore, to accomplish these objectives, in 1998, the construction of a network of five community centres throughout the county began, which culminated with the opening of an excellence home for the elderly with fragile socio-economic conditions in 2013. One of the guiding principles is the growing community participation, which led to the construction of leisure facilities in the physical, culture and conviviality field. In these fields, we regularly develop intergenerational activities alongside with other activities more focused on senior people. Concerning the social network, Ponte de Sor has supported the institutions that develop projects on active ageing, such as the Senior University and the CLDS project “Open Paths”, amongst others. The delay of the elderly institutionalization is another key objective. However, there are situations where seniors’ housing conditions are not the best, meaning that the rehabilitation of the most disadvantaged are supported in of their residence with equipment essential for their well-being assigned to their homes. In 2010, Ponte de Sor won the first prize for the “Ação Social 2010” (i.e. Social Action 2010), by Socialgest, for the Local Government category. Ponte de Sor also signed the Dublin Declaration on Age-friendly Cities in 2013.